Styled with an elegant twist, these sumptuous rose gold-plated sterling silver drop earrings are set with sparkling crystals for a glamorous finishing touch. Team with a matching pendant for a coordinated look. 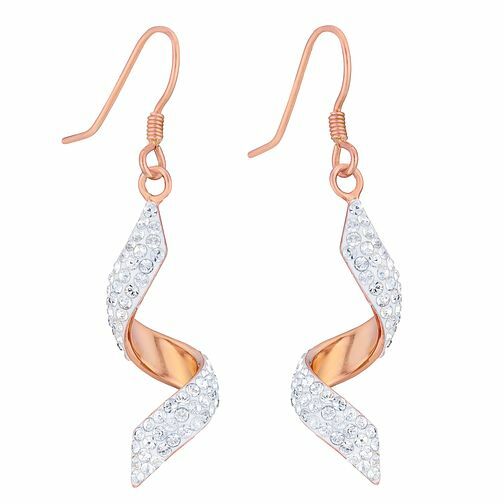 Evoke Rose Gold-Plated Crystal Twist Drop Earrings is rated 4.9 out of 5 by 9. Rated 5 out of 5 by Anonymous from Stunning looking Very pleased as they really sparkle and look very expensive.